Fever – a good thing or a bad thing? You’ve seen the ads telling you to use Tylenol to bring down your or your child’s fever, but is that always prudent? Why do we get a fever and what is it trying to do? A fever is actually used by our body to stimulate our immune system. When the body temperature is elevated in fever, white blood cell production is increased along with the rate at which white blood cells are released into circulation. At the same time, white blood cell mobility and killing ability is enhanced and antibody production is increased up to 20 times. While the fever is ramping up the body’s defenses it is also creating an inhospitable environment for bacteria and viruses. The increase in body temperature decreases the blood concentrations of iron and zinc which further inhibits bacterial growth. Also, don’t be alarmed if you have no appetite when you have a fever. The digestive system shuts down when the body temperature goes above 99.5F (oral). If food is taken during fever, it will strain the system and inhibit its ability to deal with the cause of the fever. So appetite suppression is a protective mechanism that ensures that the body’s energies are focused on dealing with the infection. As a Naturopathic doctor, I agree with Hippocrates, the Father of Medicine, when he said, “Give me a fever and I can cure any disease.” If your body can produce a fever it is a sign of a strong immune system. Therefore, we should not be afraid of fever and use it to ward off infection. This doesn’t mean that we don’t recognize potential dangers in fever. 98.6F is considered normal body temperature. 102-103F is optimal for fighting infectious disease. However, 104-107F is when dehydration becomes a serious concern and fevers above 107F are dangerous. 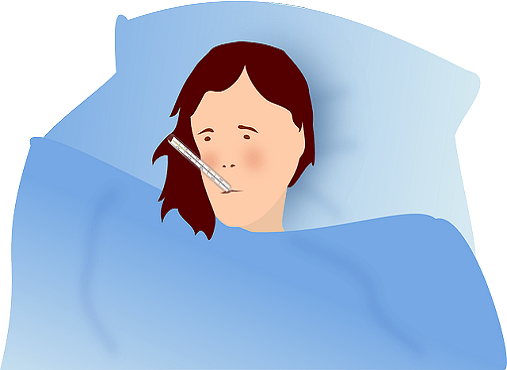 Most harm associated with high fevers is usually due to dehydration, electrolyte imbalance or the cause of the fever rather than the fever itself. In a properly managed case, fever will not get to these dangerous levels. So, in most cases, a fever is a good thing.